The Quarter Horse excels at racing over a short distance, being named for the quarter mile race where it wins more often than not. The breed traces its history back to the horses taken to America by the Spanish Conquistadores. The quarter horse became indispensable during the great days of cattle herding when the chief requirement was for a totally dependable mount. Today they enjoy great popularity in western style competitions such as barrel racing, rodeos and roping. The American Quarter Horse Association was formed in 1940. Its registry is now the largest of any breed in the world, with more than two million horses listed. Physical Attributes of the Quarter horse breed. Colour Range: Any solid colour. Short wide head with small muzzle. Large wide set intelligent eyes and medium length alert ears. Fairly long flexible neck; sloping shoulders and well defined withers. Compact body with broad chest deep girth short back well sprung ribs and powerful loins. Good limbs with short cannons broad flat low set hocks, muscular thighs and gaskin and medium length pasterns. Oblong feet with deep open heels. One of the best-known breeding establishments of Quarter Horses at the present time is the King Ranch, Kingsville, Texas. The King Ranch raised good cattle horses for many years and obtained Old Sorrel, a son of Hickory Bill, as a colt from George Clegg of Alice, Texas; Old Sorrel was foaled in 1915 and died in 1945. This horse proved to be such an outstanding cow horse and sire of cow horses that a breeding line program was developed at the King Ranch to maintain his relationship in the herd. 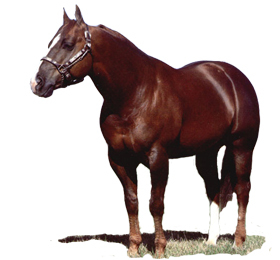 Considerable Thoroughbred breeding has been used in the development of the King Ranch Quarter Horses. It would be impossible to mention all the Quarter horse breeders that have contributed to the Quarter Horse, because many breeders have made no attempt to record their horses but are content to raise their own lines. Some breeders prefer to keep speed as the primary requirement and specialise more in horses for racing than for ranch work. Development of the Quarter Horse began in the south western parts of the United States in Texas, Oklahoma, New Mexico, Eastern Colorado and Kansas. Furthermore Professor Robert nizoral cream uk G..